The JetSet difference - What's Included? - JetSet Course Package includes Wine tasting and Lunch Post Course at Brander Winery. 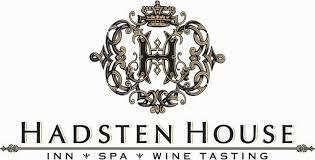 - One night Hotel Stay (9/11/15) at Hadsten House Inn and Spa, Solvang. - Transportation to and from course. Location : Brander Winery and Vineyards, Los Olivos, CA. Have you wanted to know more about Pilates? Do your clients report feeling stronger with greater body awareness and improved posture after only a few Pilates sessions? Have you heard that Pilates is only good to improve core stability? Have you thought that Pilates can not improve function? Well think again! This interactive seminar will begin to dispel the myths about Pilates by introducing you to the functionality built in to this movement system. In just one day we will explore the similarities between evidence based movement science theories and approaches to Pilates. We will review the anatomy associated with the neural, articular and muscular chains related to key functional movement patterns and postural stability. The hands on labs feature a variety of screening and assessment tools to help attendee’s recognize faulty movement strategies and combine movement science approaches with Pilates concepts, teaching techniques and exercises to support and restore function in a variety of clinical settings. Examine the history and evolution of functional medicine and Pilates. Describe Pilates principles and their similarities to common movement science approaches. Understand the anatomy associated with key functional movement patterns. Safely apply functional movement screens. Recognize correct common movement patterns and exercise faults. Appreciate the benefits of Pilates through an evidence-based model. Perform and teach progressive Pilates Mat exercises with and without small props. Recognize impairments that may benefit from Pilates interventions. Apply Pilates principles and exercises in a variety of clinical environments. Understand precautions and contraindications associated with the exercises. Learn successful documentation strategies for reimbursement.